The allure of an Oriental rug is timeless, but when shopping for one, do you know what the markings are of a quality oriental rug? Here are some points of quality rugs that experts agree upon. A rug that is finely knotted has more knots per square inch than a rug that is not finely knotted. This translates into better detail in the pattern of the rug. The fineness of the knotting will also positively impact the density of the rug. 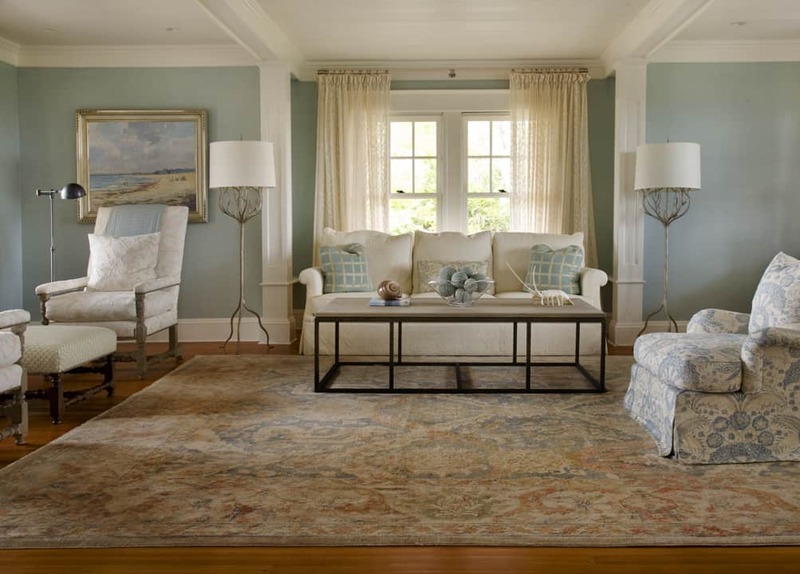 These factors make a finely knotted rug more attractive and desirable. The use of natural dyes on a quality Oriental rug is a long tradition which adds to a rug’s value. High-quality color is resistant to excessive fading and bleeding. Hand-spun wool is making a comeback in quality Oriental rugs. In the mid-twentieth century, machine spun wool became the norm for rug yarn. Recently, there has been a return by some weavers to hand spun wool. The hand spinning of the wool creates a fiber that absorbs dye more readily than machine spun wool. Also, the variations of color in rugs with hand spun wool yarn are more valued by collectors. The condition of a rug encompasses many categories. First of all, the original craftsmanship of the rug should be without obvious faults like curled edges, wrinkles, and distorted shapes. In addition, a quality Oriental rug should not have moth damage, mildew or holes no matter how old it is. There is an idea by some rug buyers that the older the rug, the better. A quality Oriental rug does not necessarily need to be old. With the resurgence of natural dyes and hand-spun wool, the choices are better than ever to find high-quality works of art for your home. Now that the artistry and craftsmanship of oriental rugs have once again revived, it is a great time to shop for the perfect one-of-a-kind rug for your home.